One of the last things you do before departing on a journey is stop for gas. 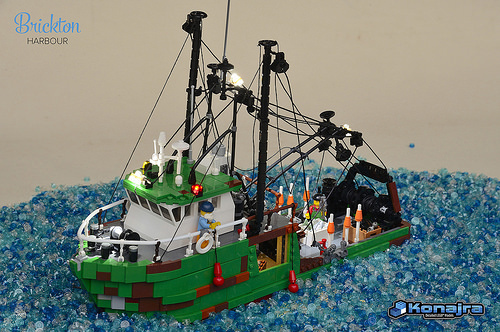 Arjan Oude Kotte has created Brickton Harbor, a place for your LEGO vessels to stop for fuel before they leave for their own journeys. 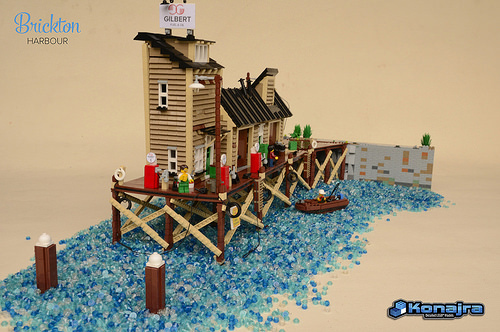 This detailed harbor is full of great details! The fuel docks feature the fuel pumps and lines for the boats, and the textured siding on the building is fantastic. The fishing vessel coming in has all the rigging you could ever need, and it’s clearly time for a haulout to get some new paint on that hull. The bouys are out and they’re ready to come in. 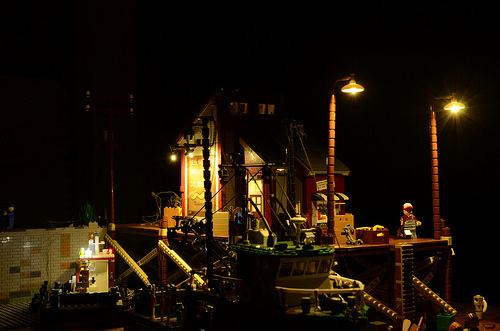 There are plenty of places to stop at the harbor, and it’s well lit at night, too, so the ships don’t hit the docks. Awfully important, that.